As a family of farmers, our livelihood has always depended on the health of our fields. From as far back as the 1800s, we have sought ways to produce high-quality crops while ensuring the land would be suitable to plant for years to come. Today, our family carries on that tradition through our sustainability efforts. Being “sustainable” means we are taking measures to protect the environment for the benefit of all, while still creating the quality wines that you have come to know and love. Sustainable farming entails a list of items, but centers around responsible water use, powering our operations through renewable energy sources and creating biological diverse habitats, to name a few. 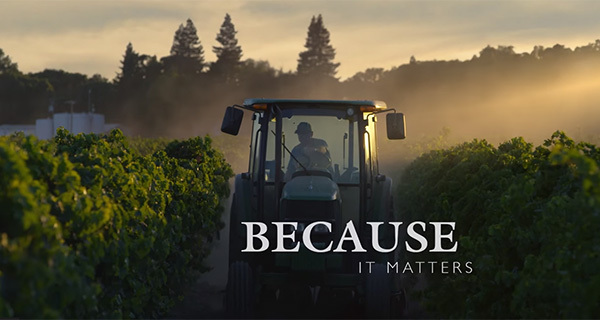 Through an audit each year, Bogle meets a variety of benchmarks in the vineyards and winery, allowing us to be certified by a third-party accreditor, the California Rules for Sustainable Winegrowing program. 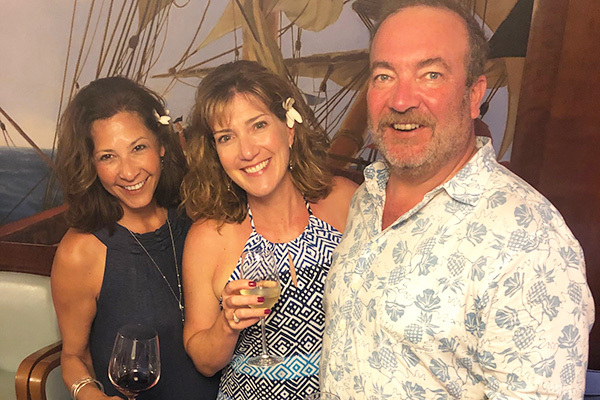 When our family committed ourselves to become certified in 2009, we had no idea how it would drive every decision we would make from that point on. What does sustainability mean for you? It means if the bottle of wine you are drinking dons the California Rules seal, 85% of the grapes used to make that wine are certified green. 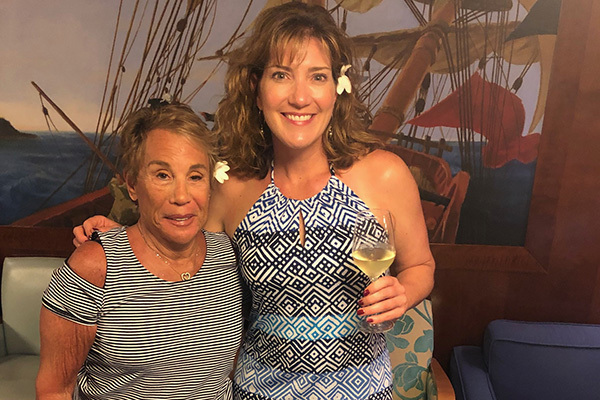 Several of our wines bearing the seal are already appearing in your local store today, which includes our 2017 Chardonnay. More will follow later this year. Our goal: for every bottle of wine to carry the sustainability seal. As it was more than 100 years ago, our family is committed to improving our practices in the winery and in our vineyards so that future generations can enjoy and farm on these very same fields. Ultimately, that is what sustainability means to us. 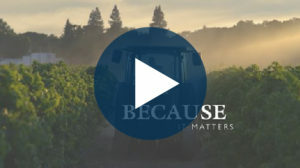 Click below for a short look at our commitment to sustainability. March is Bogle Pizza Month! A glass of red or white compliments nearly every meal, but when you add wine to a slice of your favorite pizza, the results can be fantastic! 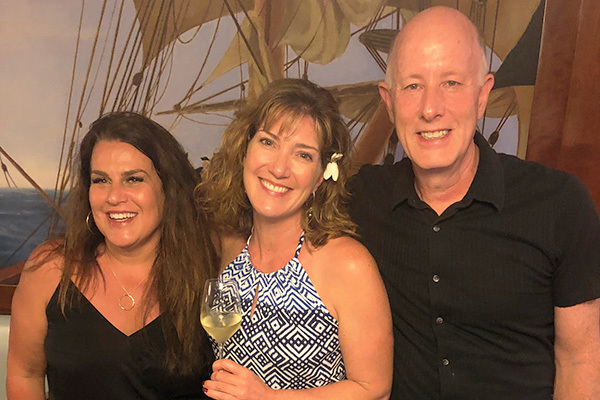 Whether a simple margarita pizza with fresh tomatoes and mozzarella, a gourmet veggie with grilled garden goodness or an exotic flatbread with smoked salmon and capers, there’s a wine that will pair perfectly! If you love making homemade pizza, you’re in luck! 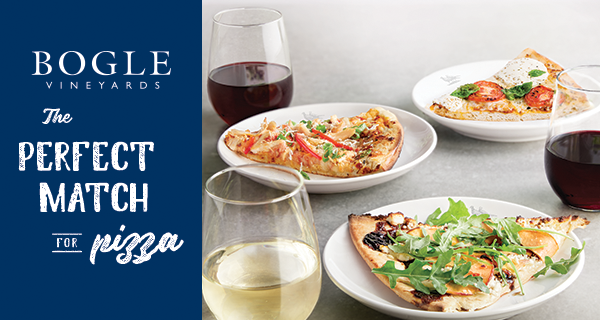 Keep your eye out at retailers across the country for special offers and discounts this month on Bogle wine and pizza, then make a masterpiece and enjoy it with your favorite wine. Don’t forget to take a picture and post it to social media, #boglepizzamonth. Our tasting room in Clarksburg will celebrate by offering up delicious Tuscan Sun Pizza for sale from 1-4pm each weekend this month. These wood-fired, personal sized pies can be topped with a multitude of options and enjoyed right on our lawn with a glass of your favorite Bogle red or white! And don’t miss our Winemaker Dinner at La Crosta Pizza Bar in West Sacramento on Tuesday, March 26th. 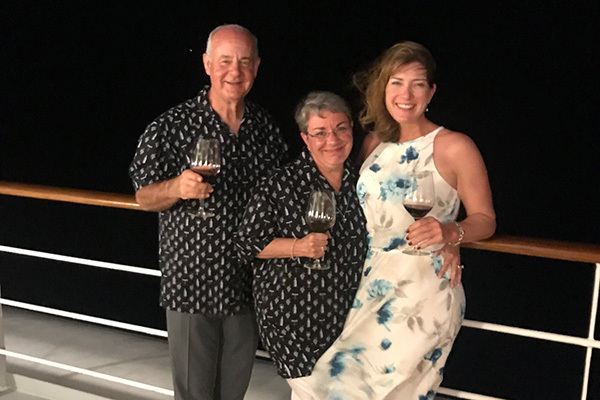 Join the Bogle family and winemakers as we share a 4-course family-style dinner (including pizza in there somewhere, we’re sure!) with perfectly paired wines in West Sac’s newest hot spot. Tickets are extremely limited, but the folks at La Crosta are generously offering our wine club members a discounted price. For reservations at either the 5:30pm or 8pm seating, call (916) 389-0372. There’s also a fun chance to win a grand prize in a text-to-win contest. As our most loyal customers, we want to make sure you get the scoop and have a chance to take home the goods! More info will hit your inbox soon, so be ready! So pour a glass of Bogle, grab a slice of deliciousness and enjoy Bogle Pizza Month! 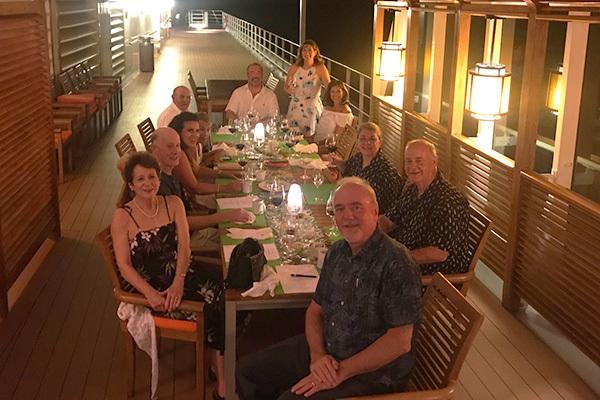 Last month, club members had the chance to join Jody Bogle aboard the m/s Paul Gauguin for a remarkable journey through French Polynesia. 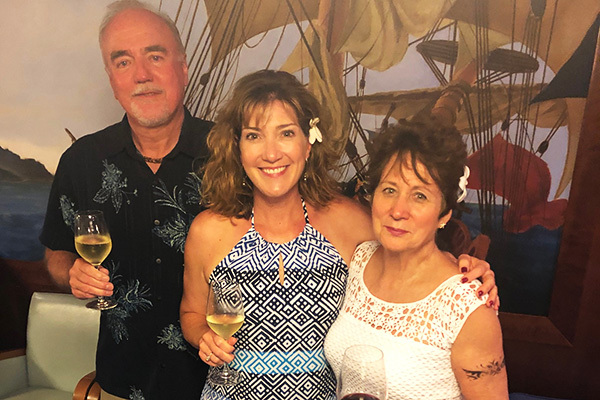 As one of the many cruise lines that features Bogle wines, it was a trip that combined work and pleasure for Jody, who had never been to that region before. Perfect weather, crystal clear waters and wonderful friends, new and old, were the highlights of the trip. 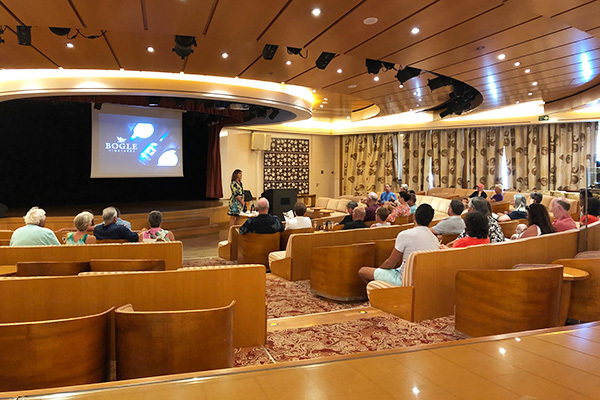 The seven-day cruise departed from Papeete, Tahiti and circled the Society Islands, with stops in Huahine, Moorea, Taha’a and Bora Bora. 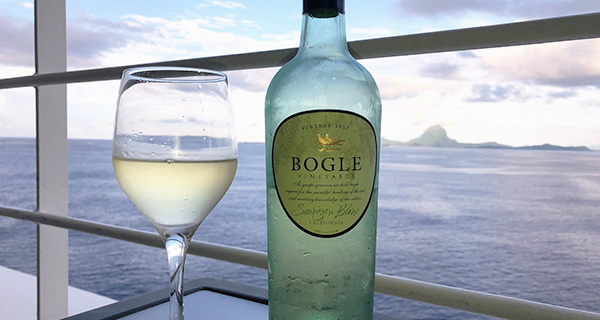 Throughout the cruise, Bogle wines were featured at special wine tastings, a formal talk and seminar, and two very special winemaker dinners, even though just one was planned. 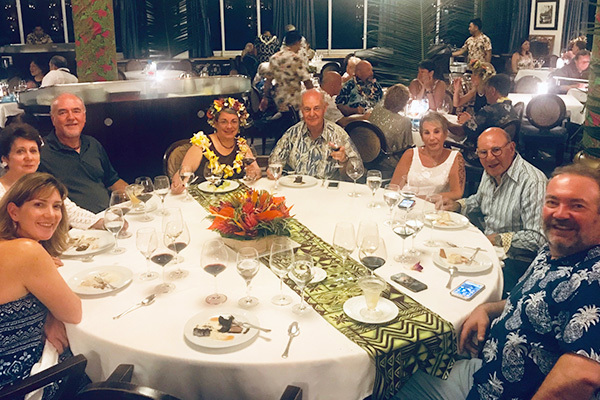 The m/s Paul Gauguin is a small cruiseliner that is especially attentive to food and wine, with an international guest list. 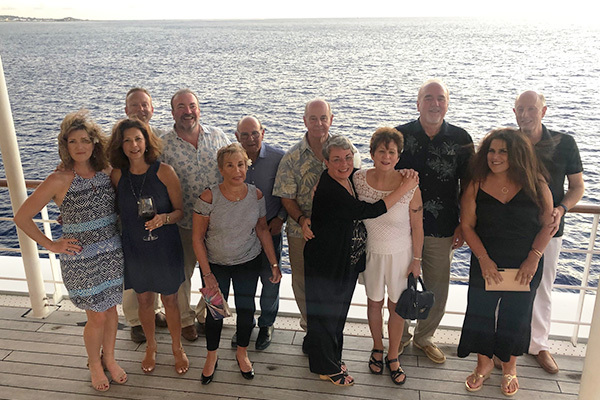 As the perfect opportunity to meet new people and share the Bogle story, this adventure could be repeated in the future. If interested, email us here and let us know! We’ll keep you posted of any upcoming plans! Below we share some memories from the trip.